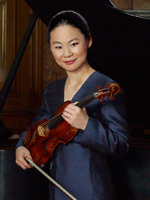 Midori made her debut aged 11 as a surprise guest soloist with the New York Philharmonic under Zubin Mehta in 1982. Today Midori is recognized as an extraordinary performer, a devoted and gifted educator, and an innovative community engagement activist. In 2007, United Nations Secretary-General Ban Ki-moon named Midori a UN Messenger of Peace. 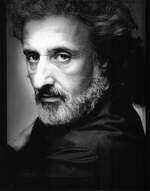 Born in 1948 in Riga, Latvia, Mischa Maisky entered the Leningrad Conservatory in 1962. In 1965 his debut with the Leningrad Philharmonic earned him the nickname “Rostropovich of the Future”. One year later he became prizewinner at the International Tchaikovsky Competition in Moscow and began his studies with Rostropovich while pursuing a concert career throughout the former Soviet Union. After being imprisoned in a labour camp near Gorky for 18 months in 1970, he emigrated from the USSR. Today he is an exclusive Deutsche Grammophon artist with many famous recordings to his name and artistic collaborations with the greatest artists of the day. Born in Hamburg, she started taking violin lessons at the age of six, while also singing in the children’s choir of the Hamburger Staatsoper and taking up private singing lessons. Mojca Erdmann studied singing with Hans Sotin at the Cologne College of Music, where she also studied violin. In 2002, the soprano won the first prize at the German Federal Competition (category voice), as well as the Special Prize for Contemporary Music. In August 2005, she was awarded the NDR Music Prize in the framework of the Schleswig-Holstein Music Festival, as well as the Luitpold Prize during the Bad Kissinger Summer. Praised by critics and loved by audiences for her beauty of tone and impeccable artistry, soprano Mojca Erdmann is known for her versatility in repertoire ranging from baroque to contemporary music. The BBC Music Magazine praised her as an "interpreter of major gifts”. One of the world's most highly acclaimed chamber ensembles, the Moscow Soloists were founded by Yuri Bashmet in March 1992. They have toured the great concert halls and festivals of the world and worked with such celebrated soloists as Sviatoslav Richter, Gidon Kremer, Mstislav Rostropovich, Maxim Vengerov, Barbara Hendricks, Lynn Harrell and James Galway. Their recordings include the Schnittke Triple Concerto with Kremer, Rostropovich and Bashmet himself, and four highly successful discs for ONYX, two of which gained Grammy nominations, the Stravinsky and Prokofiev winning the Award in 2008. With a group of like-minded musicians, Viktoria Mullova formed her chamber group The Mullova Ensemble in 1994, with an inaugural tour of Italy. The Ensemble has since toured Germany, Spain, Belgium, the UK and the Netherlands, exhibiting a blend of scholarship and virtuosity appreciated by audience and critics alike. Their first two CDs are of Bach Violin Concertos and the Schubert Octet on ONYX (voted Editor's Choice in Gramophone), both demonstrating their ability to breathe life into music new and old. The Nash Ensemble is one of Britain’s finest chamber groups, and through the dedication of its founder and artistic director Amelia Freedman and the calibre of its players, has gained a similar reputation all over the world. It has given first performances of nearly 300 new works. An impressive collection of recordings for many labels like ASV, Hyperion, CRD and recently Onyx reinforces its position at the zenith of British musical life. Nikolai Demidenko’s passionate pianism is in demand worldwide. Russian born and trained, he was granted British Citizenship in 1995. 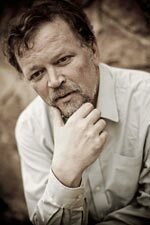 Renowned for his authoritative performances of the Russian concerto repertoire such as Prokofiev, Rachmaninov and Tchaikovsky, he has worked with conductors and orchestras throughout the world. 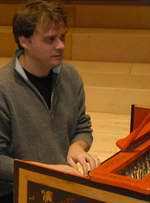 His repertoire is wide-ranging including Bach, Clementi, Mendelssohn, Mozart, Mussorgsky and Scarlatti. For Hyperion Records he recorded many award-winning albums including Medtner Concertos which won a Gramophone Award. With his first recording of the 24 Préludes, he embarks upon a new relationship with Onyx Classics. Click here to see Onyx Classics titles featuring Ottavio Dantone.